Walk into your local bookstore and you will see that the religion section is filled predominantly with Christian books. The top shelf is usually crammed with Bibles of many translations, and the descending shelves contain mostly Christian self-help books. The rest of the space is mostly filled with books on Hinduism, Buddhism, and Islam. The section right beside it is usually labelled 'New Age,' and the books are mostly about Wicca, psychic development, and angel communication. I have not seen anything that would be of much use to the Satanist. On top of this, Christians have their own bookstores that are filled with books written by Christians who write in order to spread the message of their god. They also have their own record labels and tons of musicians of all genres who sing the praises of Jesus. Muslims have Islamic centres and distribute their literature on street corners, and most of the major world religions have places of worship in every major city. What does the Satanist have? 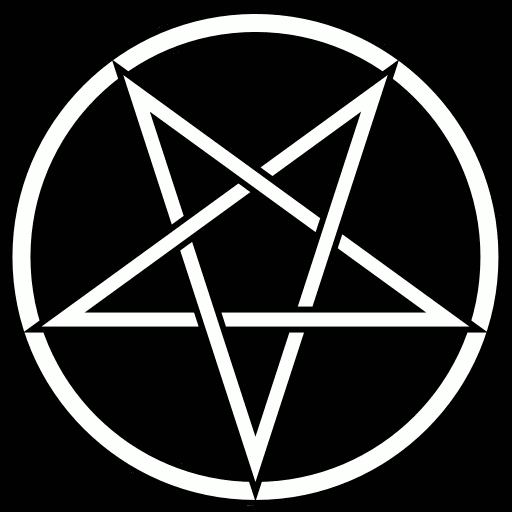 Since the early 1980's, we have had black metal, but most of the bands just use the Satanic imagery and are not real Satanists. I applaud those who are, yet for the Satanists who don't like black metal, there is not much to listen to if they want to hear music about Satan. In regards to books, there is some non-fiction, but there isn't much geared towards Satanists, especially those who are theistic. And sadly, there is not much in the way of fiction that has anything to do with Satan, unless you count some horror and fantasy novels. Most are written with a bias, and Satan is portrayed in the stereotypical fashion- the evil one from the Abrahamic religions. 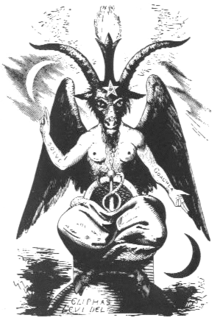 While everyone loves movies such as The Omen and Rosemary's Baby, it would be nice to see a movie where Satan and the Demons are portrayed as they truly are. And I would give anything, to walk into a bookstore and be able to choose a book where the main character is a Satanist or Demonolator. So, where are the Satanic filmmakers? Where are the Satanic writers and artists? Where are the musicians who truly believe? Just imagine walking into a bookstore filled with books for Satanists, or an art gallery with walls covered in Satanic art. But before we can have these things, we must first write the books and paint the pictures. Satanist, if you have a talent, use it for Satan. Create for Him, as you consider the Satanists of the future. When you first felt drawn to Satan, what would you have liked to read, listen to, and watch? Think of those things, and set yourself into action. But above all... Hail SATAN! Marie, this is so true and speaks to a larger problem within society. The problem of not treating people equally. If my neighbor wants to buy a Catholic Bible..fine. But I should be able to buy a pro book on Satanism... without judgment or fear. I have been struggling lately so your blog post came at the right time. As you know I write fan fic and even though it's based on canon source, I am doing my part in making sure that people know it's just a story. There's good and bad folks on both paths. I am learning a lot and blogs like yours help. You bring up some points that I briefly touched on in one of my fan fic entries...Satanism needs to be shown in films as a valid path and not be treated like a horror slasher film. Gore and Hollywood plotlines can be fun..but is it too hard to put an actual story around it? Where Satan or the Antichrist is not written as a cliché ridden bad guy? Satanic Blessings to you, Marie, for all that you do.